Ah January, the month of new beginnings and left-over food, resolutions and cold weather. Whenever January rolls around my skin is ready for a detox. I cook, bake and eat a lot during the holidays (…basically all year round, let’s be honest haha) so my skin usually looks a bit worse for wear after New Year’s. 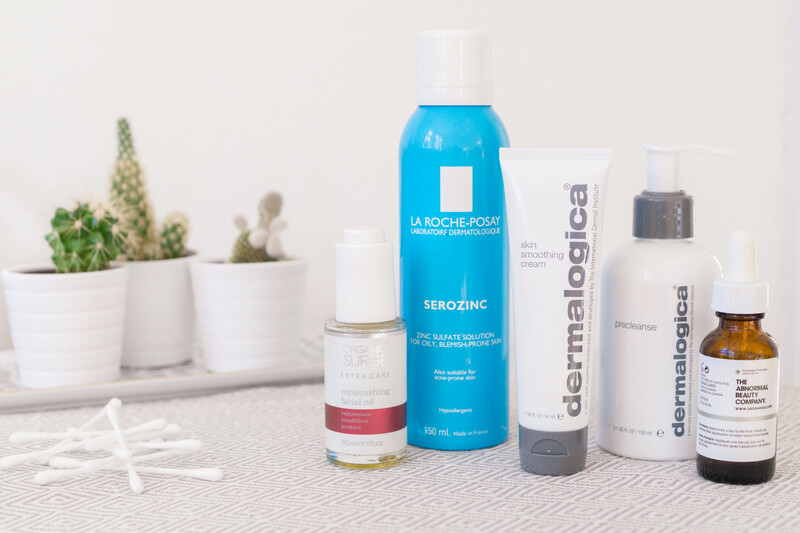 Here are five winter skincare products that will give your skin a healthy glow while adding a dose of hydration after the parties and food. Dermalogica Skin Smoothing Cream* (get it HERE) | This product was sent to me by BloggerClub.de for review. I have tried a fair amount of face creams and have a couple of favourites; it takes a lot to impress me when it comes to moisturizers. The Dermalogica Skin Smoothing Cream managed to do exactly that. This no-fuss, simple lotion keeps my face hydrated and plump and does exactly what it says. It might not be the most innovative cream you will ever use, but if you are looking for something that will make your skin soft and lovely, this is the one for you. Rose Hip Seed Oil has been a part of my skincare routine for years. The Pai Rosehip Oil (review HERE) was always my go-to. This was until The Ordinary released their Rose Hip Seed Oil and stole my heart. The texture is oily, of course, but also dry and sinks into the skin within seconds. Rose Hip has proven to enhance the moisture levels of the skin, brighten and help with fading scars. Whenever I use this I wake up with an even skin tone and the little scars on my face have been fading nicely. The best part? This bottle is only a third of the price compared to other brands! If you haven’t guessed by now – I love oils. Not only do they add moisture to the skin, depending on what oil you use they have great benefits, too! 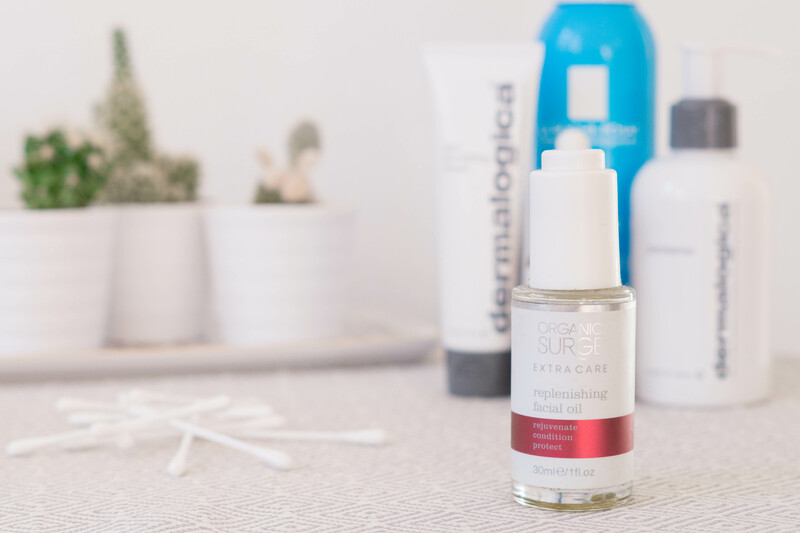 The Organic Surge Replenishing Facial Oil is perfect for days when your skin needs a little pick-me-up and a normal moisturizer just isn’t enough. This performs lovely mixed into facial creams but also on its own after serums. Great for dry or stressed skin! I first heard about this product from Caroline Hirons who praised it for its soothing properties. It contains zinc, which helps to calm stressed skin. Five bottles later, I am too addicted to this little gem. It calms my skin after breakouts, workouts or days in the heath/cold. Serozinc also doubles up as a makeup setting spray and its fine nozzle distributes the product beautifully. If you skin needs help in winter, check out this zinc solution! Dermalogica PreCleanse* (get it HERE) | This product was sent to me by BloggerClub.de for review. Do you have a designated winter skincare routine? 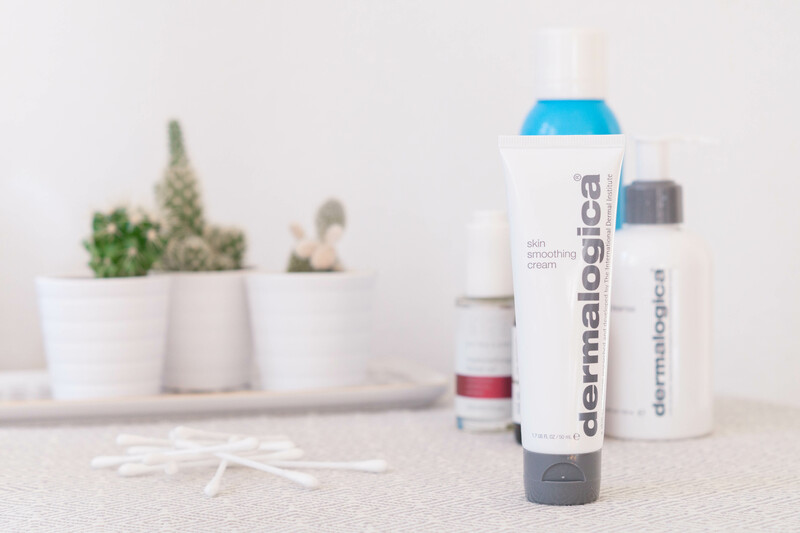 Dermalogica Skin Smoothing Cream* (HIER erhältlich) | Dieses Produkt wurde mir von BloggerClub.de kostenlos zur Verfügung gestellt. Ich habe schon eine ganze Menge an Feuchtigkeitscremen probiert und habe auch ein paar Favoriten. Es braucht viel, um mich zu überzeugen. Die Dermalogica Skin Smoothing Cream hat genau das geschafft. Diese leichte, einfache Creme spendet meiner Haut Feuchtigkeit, macht sie prall und tut generell genau das, was auf der Verpackung steht. Sie ist nicht unbedingt innovativ, macht die Haut aber sehr weich und beinhaltet auch kein Parfum, was für mich ein Pluspunkt ist. Hagebuttenöl ist schon seit Jahren ein Teil meiner Hautpflegeroutine. Das Pai Rosehip Oil (eine Review findet ihr HIER) war immer mein Go-To. Dann kam aber The Ordinary mit ihrem Rose Hip Seed Oil und ich war hin und weg von der Qualität. Die Textur ist ölig – natürlich – aber auch recht trocken und sinkt innerhalb von Sekunden in die Haut ein. Hagebuttenöl verbessert nachgewiesenermaßen die Feuchtigkeitslevel der Haut und hilft bei der Heilung von Narben. Nach Benutzung wach ich immer mit einem ebenmäßigen Hautton auf und die kleinen Narben auf meinem Gesicht verblassen auch nach und nach. Und das Beste? 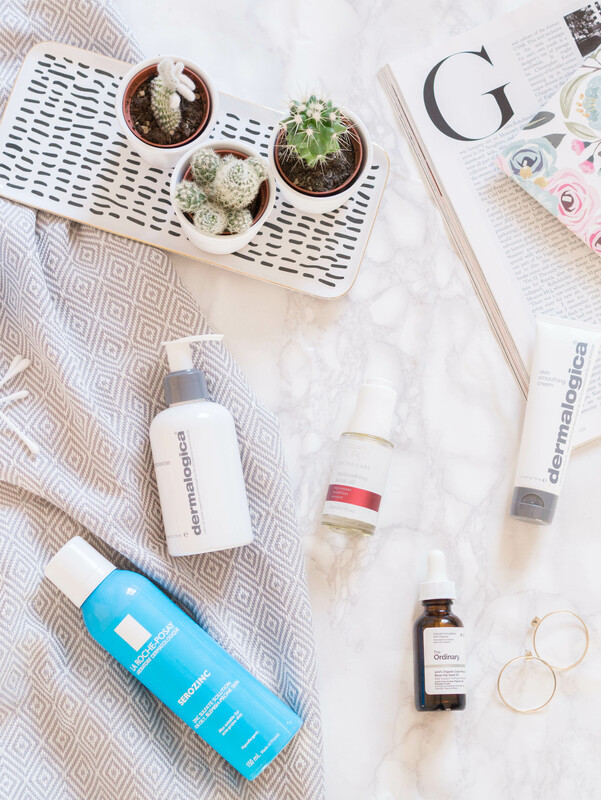 Die Flasche von The Ordinary kostet nur ein Drittel im Vergleich zu anderen Marken! Vielleicht habt ihr es schon erraten – ich liebe Öle. Sie spenden der Haut nicht nur Feuchtigkeit, sondern haben auch andere tolle Vorteile. Das Organic Surge Replenishing Facial Oil ist perfekt für die Tage, an denen die Haut ein wenig Stärkung braucht oder eine einfache Creme nicht genug ist. Das Öl funktioniert gemischt mit Lotionen, aber auch alleine über verschiedenen Seren. Super, für trockene oder strapazierte Haut. Zum ersten Mal gehört habe ich von diesem Produkt bei Caroline Hirons, die für seine wohltuenden Eigenschaften geworben hat. Es beinhaltet Zink, welcher dabei hilft, gestresste Haut zu besänftigen. Fünf Flaschen später bin auch ich süchtig danach. Serozinc beruhigt meine Haut nach Unreinheiten, Workouts und Tagen in der Hitze/Kälte. Es dient auch als Makeup Setting Spray und der feine Sprühkopf verteilt das Produkt schön. Wenn eure Haut im etwas Hilfe braucht, seht euch dieses Produkt unbedingt mal an! 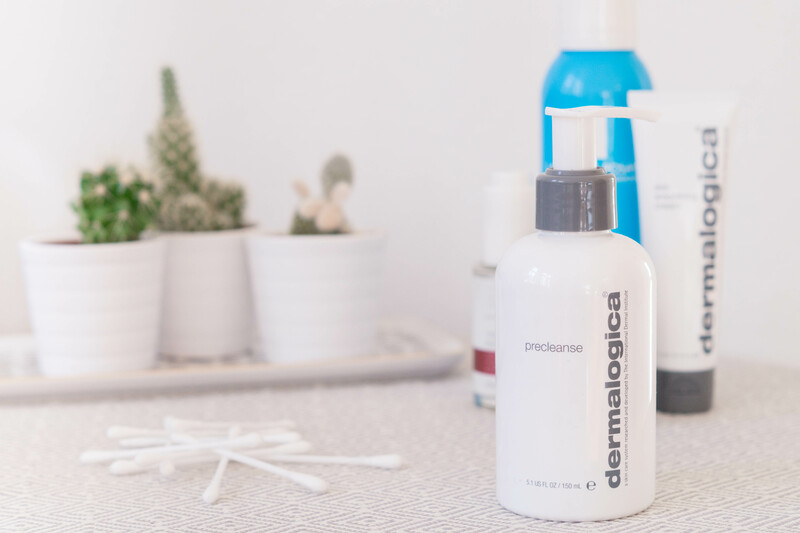 Dermalogica PreCleanse* (HIER erhältlich) | Dieses Produkt wurde mir von BloggerClub.de kostenlos zur Verfügung gestellt. Was sind eure liebsten Hautpflegeprodukte für den Winter? 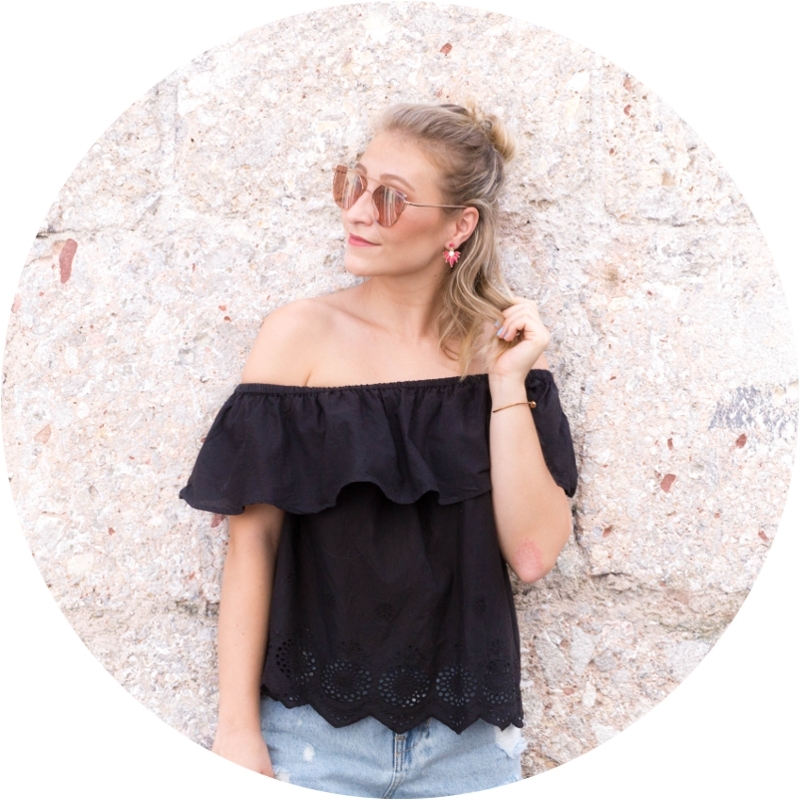 Habt ihr eine spezielle “Winter Skincare Routine”? My face is so oily in general that I’m so nervous to put any oils on my face, even though I know they’re supposed to be fantastic hyrdrators and brighteners! 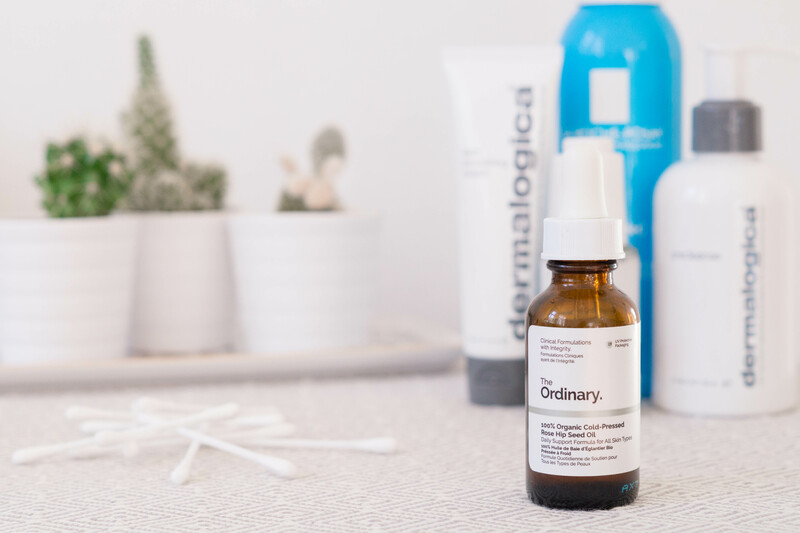 I’ve heard amazing things about the Ordinary though and I’ve been thinking about looking into their products, I really need something to lighten the acne scars from my teenage years haha. I have never tried Dermologica products but I need to check them out! I currently use lotion, cocoa butter and body oil to combat dry winter skin. I have a dermalogica exfoliating scrub that I love! I have such a hard time preventing my skin from looking dull in the winter! I love hydrating, cream based products so I’ll have to try a couple of these! I LOVE everything by The Ordinary! Their Rose Hip Seed oil is my favorite! Loved your review about the products, I am just thinking of getting me some of the oils! These products all sound amazing! I want to try both of the face oils! I haven’t heard of any of these but I need to look more into them! My skin is terrible in cold weather so I’m always on the lookout for things to help! I’ve never tried any of these products before but I have heard good things about almost all of them. Def need to give them a try. I’ve heard so many good things about The Ordinary Rose Hip Seed Oil. I was going to get some the next time I visiting House of Fraser. Sounds like the treat my skin needs during the winter months. I actually don’t have a specific winter skincare routine but I feel like I probably should since the cold air has been so rough and frigid this year! I live in the Midwest so my skin always gets really dried out and wind-chapped! Instead of buying a heavier moisturizer that makes my face break out, I add a Paula’s Choice moisture serum to my normal moisturizer and that seems to do the trick! 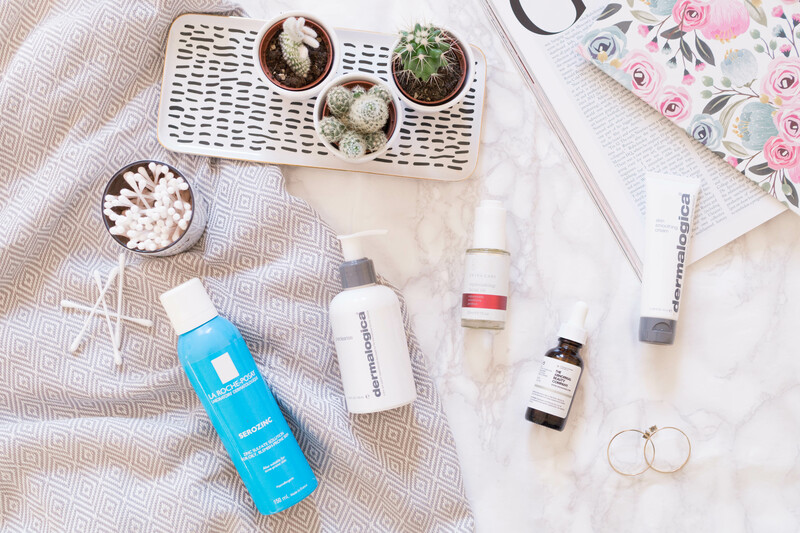 Sometimes due to living in Southern California there is a tendency to think we do not need Winter skincare. Your post reminds me of how untrue that is. I’m definitely trying to focus more on taking care of my skin this year, so this post is perfect! Thanks for the product suggestions! Definitely, need help stepping up my skincare game so this list is great. Thanks for your recommendations! I need to check out the Rosehip oil! I scar so easily so that’ll be a good defense against that! I love this post! Dermalogica is one of my favorite skin care brands but I havent tried the Smoothing Cream yet! Going to look into it! my skin has been so icky lately and i just started using a few kate somerville products, i’ve been loving them. i’ve been seeing dermalogica so much lately and i’m about to go purchase a bunch from the link! I have been looking for a better way to pamper and care for my skin. Dermalogica seems to fit the bill in terms of what I am looking for. Da sind ja einige Interessante Produkte dabei. Ich nutze immer mal wieder andere Produkte. It was so cool to get a peek at the products that you use for your skincare routine! I have terrible acne prone skin and I am always looking for help. Every season brings a new issue but I always have to deal with the acne… so it’s very difficult to find exactly what I need. I’ll be checking out some of these products, for sure! Oh, da sind ein paar interessante Produkte in deinem Bericht. Die muss ich mir mal näher anschauen! Great list! I love all things Dermalogica, but I still need to try a few of this.